Turnkey Construction and Roofing recently completed a roofing project for the Activity Building of the Georgia School for the Deaf. 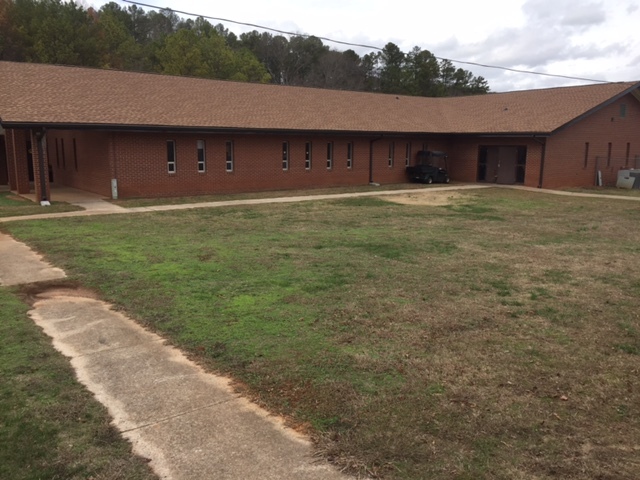 Turnkey also replaced the roofing system on the school’s Boiler Building. Both projects were performed for F.H. Paschen, S.N. Nielsen’s Job Order Contract Division. “Because the Activity Building has a large, complex metal roofing system, we recommended building a roofing system over the existing metal roof, which is in itself complex but pales in comparison in cost to removing and completely replacing the metal roof,” said Karl Ek, vice president, Turnkey Construction. Turnkey worked with the engineered scope to develop a plan that involved creating a system to build a shingled roof over the metal roof and connect them. “Basically, we converted the metal roof to a shingle roof, which was not the easiest task given the circumstances,” Ek shared. 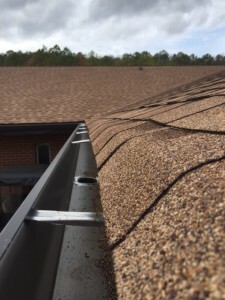 “The existing roof was worn and rusted, but not completely needing to be replaced, so we shingled the entire building by adding decking and shingles over the existing metal roof,” he added. “In order to have the buildings on campus complement each other, we matched the shingles, added an external gutter system and added a ventilation system to allow the underside of the roof systems to be able to breathe.” Work was completed in 4 weeks. On the Boiler Building – the building on campus that houses the school’s mechanical systems – Turnkey recommended an upgrade rather than replacing the entire roofing system, which will ultimately extend the life of the roof for an additional 15 years. “The repairs to the Boiler Building will take this building out another 15 years before the school has to replace it, which saves our client a great deal of money,” said Karl Ek, vice president, Turnkey. “It is a safe, effective system upgrade that is the better choice at this point,” he added. Specific work included removing dormant mechanical equipment, removing the old gutters and reinstalling new gutters, resealing the edge flashing, and capping and sealing the curbs. This project wrapped up last fall. “Turnkey was chosen for these projects because they have the expertise to work in a challenging environment,” said Leo Wright, vice president of F.H. Paschen, S.N. Nielsen’s Job Order Contract Division. “Turnkey also has the local talent and resources needed to get these projects completed for us on a fast-track basis without sacrificing quality,” he explained. These projects were completed under the EZIQC Program, which is Paschen’s Job Order Contract system offered to municipalities and agencies throughout the country to “fast track” their small to medium size projects using an agreed upon unit pricing system.